Meet Kinder (as in "kindergarten" because he's just a young pup! ), a doll of a puppy who will soon be available for adoption from Coppell Humane Society. This little guy was so photogenic, and there were so many great images of him, he warranted his own post! Kinder found himself surrendered to a municipal shelter due to a nasty skin problem around his muzzle. The shelter gave him immediate care and posted him for rescue so he could make a full recovery in the comfort of a foster home. Enter Coppell Humane Society who has a reputation to pull great animals who just need medical care and time to heal before looking for their furever home. With the proper treatment, just look how handsome he is now! If you'd like to learn more about Kinder and submit an application to adopt him, visit their website to watch for when he'll be posted as available for adoption. Once you meet him, you too will fall in love! Contact me if you'd like to schedule your own pet's portrait session. When photographing a rescue dog, I try to capture a variety of poses to best show off the pup. The colored backgrounds help draw the viewers attention to the image when they're looking at possibly hundreds of animals on Petfinder or Petango and lastly, I try to incorporate something else into the image that will help the viewer remember this animal; a toy, bowtie, flower, bandana, etc. Clearly being this cute is hard work! 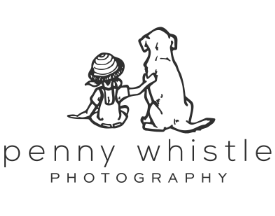 Click here to learn more about scheduling your own family or pet portrait session.